In this case, I would argue that it isn’t the content that has failed, but the execs. Their failure is trying to enforce metrics from different marketing disciplines, like inbound, on content marketing. 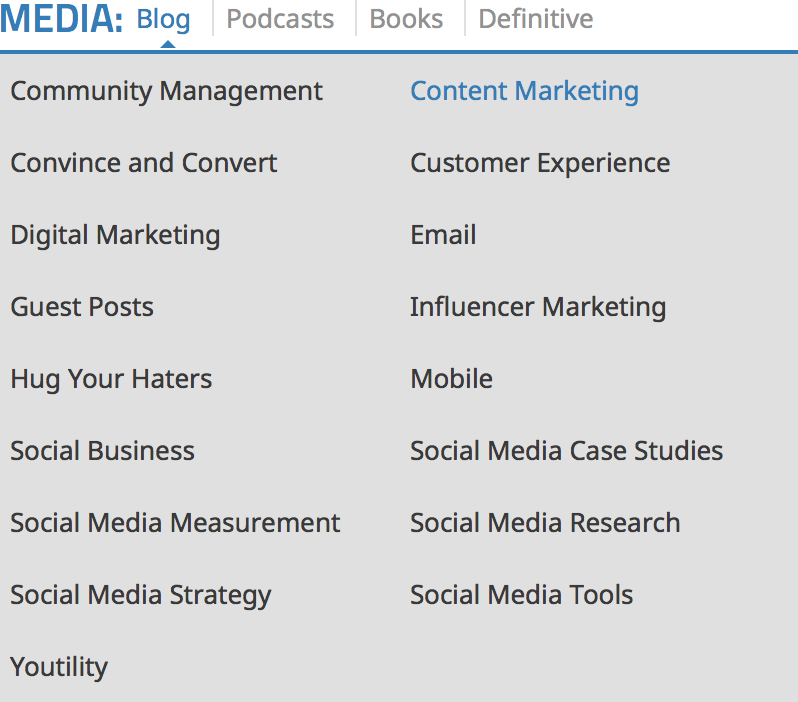 No matter how hard you try, you won’t be able to fit content marketing into a spreadsheet. Judging a piece of content through the prism of say, PPC, is like being disappointed of your cat that it doesn’t fetch when you throw a stick. Content marketing is still a work in progress, in the trial and error phase. That is the main reason for the waste associated with it—that and a lack of strategizing. The write-first-think-later approach runs rampant in the B2B marketing sphere, which is completely counterintuitive to anything else marketing departments do. Without a doubt, the reins haven’t been put on content creation yet. 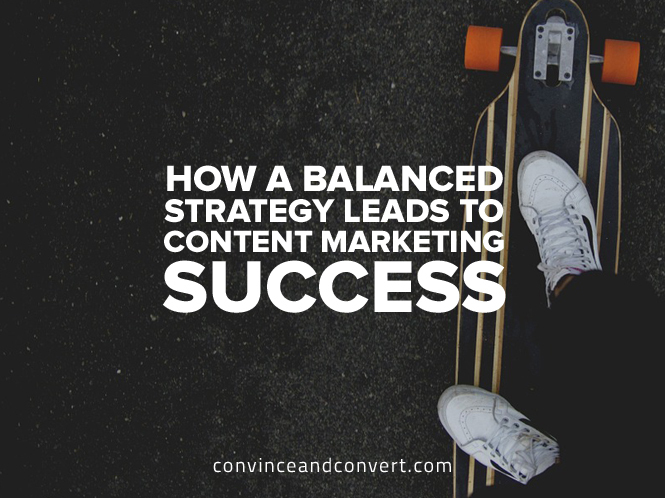 But there are tremendous benefits to content marketing that are already apparent, as Ben listed in his article—namely, brand lift and brand appreciation that translates to trust. Even if content marketing generates zero leads, it comes with such an impressive added value: a massive trove of informative, educational content of professional grade to serve as a knowledge base for every industry. We have gotten so accustomed to it that we don’t pause anymore to appreciate it. Ask any question, and it will be answered; search for any process, and you shall find; look for any how-to video, and it’s there. This is straight-up amazing, and it’s all content marketing’s doing. There are many more pieces to the content marketing puzzle—pieces that amplify its worth. Content can have a much longer shelf life than you might expect. The first trick up a marketer’s sleeve is to write evergreen content: content that isn’t time-sensitive and will not lose its punch after months or even years. Obviously, not all pieces of content can be evergreen, but peppering your content marketing strategy with a few evergreen pieces is a smart move. 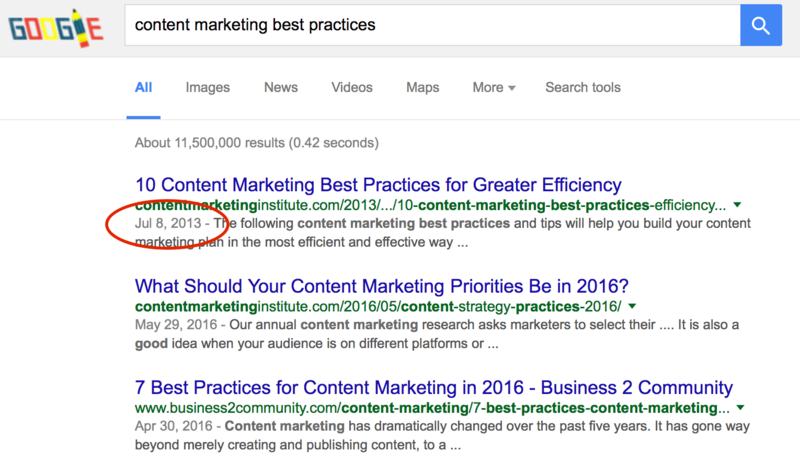 A fine example for evergreen content can be found when typing into Google, “content marketing best practices.” The first result, from the famed Content Marketing Institute, is from 2013! Three human years is equal to 600 internet years. Another trick to extend content shelf life is by elevating its visibility and approachability on your website. In your company blog, or your Resource section, make sure that as many pieces of content as possible are displayed in the first page. Have sections in your blog, allowing for easier and quicker navigation. 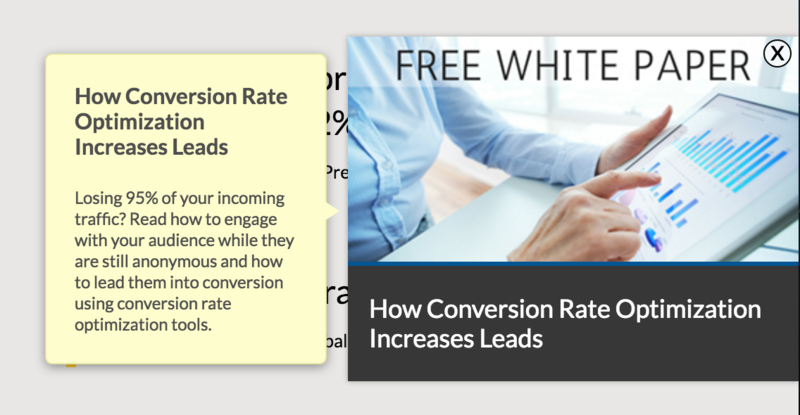 Convince & Convert sections their blog in a very detailed manner, allowing readers to narrow down their field of interest and dive into the topic they are interested in, rather than scroll through post after post of lesser interest for them. Lift your head and look beyond the horizon. Somewhere out there, your content marketing and SEO efforts will converge. Content is the major proponent of SEO, alongside some algo-defying wizardry and link voodoo. Google is still the internet’s Grand Central, and how you perform in the search results plays an infuriatingly crucial role in your online success, especially in the B2B arena. Searching is believing. By merging your keyword strategy with your content marketing strategy you can, slowly but surely, start to carve your long-term path to a strong presence in the search terms that surround your industry. This is no less an important aspect of published content: putting up a fight for search dominance. Here is what Neil Patel has to say on the matter. Even if your company doesn’t have a dedicated SEO team, and even if you don’t outsource SEO, the natural power of your content will do the work—as long as it is quality content that gets traction. Because if you write about a topic, and we assume this topic is related to your company’s business, you naturally use a whole lot of terms and jargon unique to your industry. This volume of phrases accumulates piece after piece. If quality content is what’s being shared, quoted, and referred to, you are gaining authority on a specific topic. Authority equals trust, and trust leads to sales. The last piece of the content marketing puzzle is the one who holds the pen—or the one typing on the keyboard. There’s a unique, reciprocal relationship between a man and his content: Each is pushing and enhancing the other, and both benefit from the success of the other. Smart content and smart content marketing have the power to create stars (not the other way around, by the way). Web champions like Neil Patel, Rand Fishkin, Larry Kim, Lee Odden, and Jay Baer all transcended anonymity riding on the ingenuity of their content. There are many, many more extremely talented people whose light doesn’t shine as brightly as the folks mentioned above. Why? Because, unfortunately for them, they aren’t as talented in content creation as they are in their trade. So we’ll say it again: Smart content has the power to create stars. To go back once again to Ben Plomion’s question, “Is Content Marketing Really Worth It?,” then yes, as Ben answered himself, very much so. Understanding what to expect, though—coordinating expectations across all levels of the organization—is key to content marketing’s success. This is the marketing department’s task, to be sure. Once that is taken care of, content marketing is an incredible tool for B2B companies. It requires a lot of investment, it’s a long-term marketing strategy, it’s notoriously difficult to execute well, and it doesn’t fit in a spreadsheet, but (and that’s a big but) when it shines, it shines the brightest. Assaf is the Head of Content at BrightInfo, a real time personalization engine. Assaf has been handling all aspects of content for more than a decade and writes extensively on content creation, content strategy, and content marketing.